This is not a post that I was really excited about sharing, but it just kept writing itself. I would write lessons here and there, but have delayed publishing for months. It's not fun being a poster girl for any type of medical issue, and I really don't want to be spokesperson for food allergies, but this journey has chosen me. Through this site, I do have the small platform to share what I have learned through this process, and feel like I must keep sharing the lessons God gives me. Before I begin I want you to note the difference between a food sensitivity and a food allergy. A food sensitivity is frustrating and inconvenient when you eat that food because you have mild adverse reaction, such as a stomach ache or a headache that lasts maybe an hour or two. A food allergy is much more serious. My allergies are not an upset tummy from too much cheese or a sinus headache for a day; it is severe lasting pain that lasts for 3 to 5 weeks depending on the food that I eat. Some people with real food allergies get migraines that will last a week or more, or go into anaphylactic shock that could kill them. Some people with certain autoimmune diseases can not eat gluten without serious consequences that last for weeks or months. I have had food allergies for over a year, a list of a dozen very common foods that I cannot eat, including potatoes and yeast. It's tough, and it's been a long process, but I've learned several lessons that I'd like to share with you. My only hope if you've been diagnosed with a food allergy, or someone you love has, that these lesson will help you also. This is the most important aspect that no one warned me about. Be prepared for a grieving process, and allow yourself to feel the emotions of grief, to move on in a healthy way. Having food allergies isn't just about not being able to eat a certain food, you lose a lot of experiences with other people. Be prepared for the emotional toll that that's going to take it the beginning as you work through the grieving process. 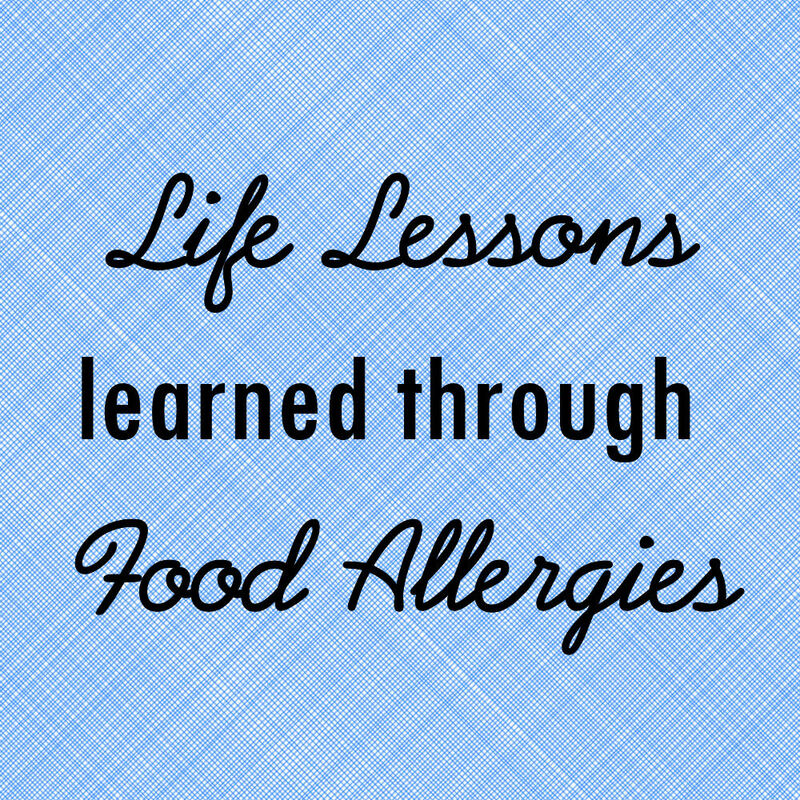 We actually suffered a terrible loss a few months after I began this food allergy journey. People brought so much food, and I couldn't eat of it. I couldn't numb my emotions with food, and at times I felt jealous of my loved ones who could. Sidenote, I learned to bake last year in response to food allergies, just to give myself an alternative to eat, but even then, it was very hard. Just as in any healing process, allow yourself to feel the loss that accompanies food allergies. There are many things you loose. I lost not being able to eat at restaurants with my family. I lost being able to accept the kindness of others who brought food. I lost the ability to eat food I didn't make. Denying this emotional toll will keep you from dealing with it in a healthy way. 2. It will be awkward. Again, I really do not want to be the food allergy poster girl. It can be very embarrassing. It is not a club that I wanted to join. I don't want to be the person that everyone tiptoes around and apologizes for because they're eating foods I cannot eat. I've had to walk in interesting line of not wanting to be the person who told every person they met about their food allergies, but also being honest about why I have to bring my own food everywhere, or why I can't go to a restaurant. My sons are very empathetic and concerned for me, and for a while anywhere we went they would tell people about all the foods that I could not eat. I had to tell them that it's embarrassing for them to point out every food on the table that I can't eat. A person with food allergies does not need you to point out to them the food that they cannot eat, they already know. If you know someone with food allergies, let them be in charge of their food. You think you're being helpful, but pointing out and asking about all the things that can not eat at a meal is quite embarrassing. I was also in a situation where everyone got free ice cream for helping a mutual friend move. I tried to discreetly just say no thank you, and they asked multiple times and teased me saying that I was on a diet. I then had to divulge that I couldn't eat dairy. It was embarrassing for both of us. Hosts are going to feel bad when they make food that you can not eat. I'm part of a small group at our church where we have a potluck every single week, and I can't eat 99% of the food brought by other people. At first that was a really emotionally hard for me, but I can also tell that it was all so hard for all the people who wanted to love on me by sharing food together. Again, this is part of the grieving process. 3. Some people will treat you as if you're on a diet. Many react differently to me sharing I suffer from food allergies versus me sharing I have other chronic medical issues. This mentality seems to stem from the fad of those who very loudly, and sometimes obnoxiously, abstain from food sensitivities as if it was a critical food allergy. Sadly this approach has unintentionally taught the public that there is some type of choice in food allergies. I have had more than half a dozen people respond to my reluctant admission food allergies with "I would rather kill myself than not being eat __insert food here__". In case you didn't know already, this is an inappropriate response. If I told someone I lost my foot, no one would dream of saying to my face that they'd rather kill themselves than live without a foot. When I tell people I have hypothyroidism, no one says ,"Well is that real? Because no one had hypothyroidism -insert their timeline- years ago." Well, yes they did, they just felt awful and no one knew why. 4. Never assume there will be food for you, always be prepared. It will save you and others grief ,and embarrassment, if you just assume that there is no food for you, and your bring your own back up. Sometimes you'll be pleasantly surprised to learn there is something you can eat, but it's really hard on a host who's prepared food for you to see you go hungry in their presence because you did not come prepared. I'm thankful to have found several tasty alternatives that I can always have with me, so that even though I'm not eating what they are eating, I can still feel somewhat included. During my family' last trip to Chicago, I didn't eat out once. My husband and children did eat Chicago dogs and I ate a protein bar I had in my bag. On another locatjon, my extended family and I all went out to a restaurant for a brunch, and I discreetly ate my almond yogurt and granola while they ate their breakfast platters. This is part of the grieving process though, give yourself grace when it's hard for awhile to not eat what your family or friends are eating. My first birthday with allergies, I cried because I couldn't eat the cake someone had made for me (this is when I began to really learn to bake). It is tough at first, but having your own yummy option will make it a little easier. 5. Some people will be really great. My allergies are not straightforward, I wish that it was something as simple as avoiding gluten or dairy, but I'm allergic to half a dozen foods that are in a lot of everyday common foods, sometimes hidden. I just assumed that no matter where I go, there will not be food for me. I have to read EVERY label on any food I eat. I have a few friends who have walked on this hard journey with me who have made it easier. They go to the restaurants they know that I can eat at. They text me recipes they are making, and keep ALL the cans and boxes so that I can read the ingredients before I eat anything, because that's my life. I NEVER expect anyone to do this, EVER, but it is a pleasant surprise when it happens. 6. You are so much stronger than you think. I have struggled with self control in regards to food my whole life. My emotional eating was a deep stronghold, and I even experienced disordered eating in High School. After I got through the initial grief stage of food allergies, I found I had self control I never thought possible. It wasn't easy, but it's been a year now, and I'm able to not only say no, but not feel empty when I have to say no. I credit this with allowing myself to really work through the grief process. If you had told me 2 years ago I could take my kids into Krispy Kreme and get them a donut, and be at peace not getting one for myself, I would never have believed you. But there is amazing growth and self-control that can come out of this process if you allow it. It will be worth it, you will eventually get to a point where you will not feel sad about not eating the food that everybody else is eating, because you just feel so much better. You'll get to the point where that food is just not worth it. It's not worth the pain, it's not worth of discomfort, it's just not worth it. There's so many more important wonderful things in life other than food. 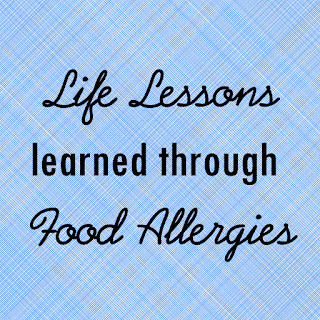 Let me know about the the lessons you have learned during your food allergy journey.